Here in the Pacific Northwest, the year of 2018 is enjoying its last hurrah. People are getting ready for parties and counting both their successes and failures. It has been an eventful year for both my family and my writing life, so I am looking forward to what 2019 will bring. 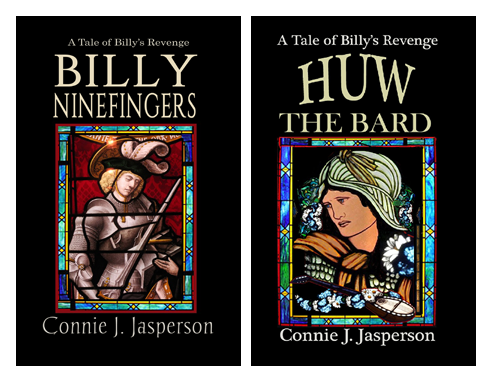 My quest to complete the three-book literary fantasy series, Billy’s Revenge, will finally come to an end. Julian Lackland is on the home stretch and will go to the editor on February 1st. Depending on how quickly that goes, he will be published in June. Julian began life as my first NaNoWriMo Novel in 2010 and was picked up by a small press. Unfortunately, that didn’t go well. It has taken me eight years to undo the damage they did and get this manuscript into proper shape. Julian Lackland is why I have been on this quest to educate myself about the craft of writing. I wanted to give Julian the kind of book he deserves, and judging by my beta readers’ comments, the effort has been worth it. I am also closing in on finishing the first draft of a new duology set in Neveyah, the Tower of Bones world. One of the things I learned when I was trying to finish Valley of Sorrows, is that readers who begin a series want the next book in a timely fashion. They might wait a year, but after that, they will forget about it. It takes me four years to get a book from concept to publication, which can be a problem. What I am doing differently with Alf’s story is this: I’m writing the first draft of the entire story arc before I begin revisions on the first book. So, this means I am writing a 250,000 word manuscript. Only when the entire first draft is finished will I begin the editing process. The manuscript will be broken in half and published as a duology, hopefully six months apart, assuming that editing goes smoothly when we get to that stage. I am also finishing the stand-alone book that was begun as a serial in 2015, Bleakbourne on Heath. I have approximately 20,000 words left to write before it goes to the editor. Leryn’s story was so much fun to write. I had never done a serial, and unfortunately, I soon discovered I couldn’t keep up the daunting schedule I had set for getting my installments published. It was like “live television.” Whenever I sat down to write a chapter, I had no idea what was going to happen next. One day I realized I had reached a creative plateau and had no idea how to finish the damned thing. Some people consider that writer’s block, but not me. When I can’t think of a way to advance a particular story, it’s time to rein it in and put it aside for a while to work on something else. So, I wrote a wedding scene, and ended the serial on a happy note, winding up most of the threads, but with the main quest still unfinished. Last year was a good year for short stories, some of which found good homes in forthcoming anthologies. Also, two of my poems were selected for publication in the I Hear Olympia Singing poetry anthology and were chosen as the opening verses. I survived my first live poetry reading and met some amazing people in the process. Yay for that! 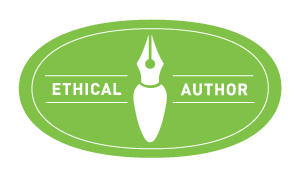 Despite cutting back on my professional editing schedule, I was privileged to edit several wonderful books for my clients—what a joy that aspect of my life is. I can’t completely drop out of that part of this business, as I love working with my clients, helping them to realize the vision they originally had for their book. My resolutions for 2019 are to publish at least one novel, have a second one either published by the end of the year or ready to go in 2020, finish the first draft of my duology, and continue to write short stories and poetry, and continue to edit for my private clients. I will keep writing new words every day, and I will remain involved in the local writing community. That connection with other writers feeds my creativity, offers me a sounding board, and keeps me working with good people who will read for me and show me what needs to be rewritten. Thank you for being a part of my writing life. May the new year bring you good fortune, good food, and good friends. May the new year bring us all inspiration and determination—the two most important gifts a writer could have. Wikimedia Commons contributors, “File:Dirck Hals – Musicians – WGA11043.jpg,” Wikimedia Commons, the free media repository, https://commons.wikimedia.org/w/index.php?title=File:Dirck_Hals_-_Musicians_-_WGA11043.jpg&oldid=253948561 (accessed December 31, 2018). Thank you for your interesting blogs in 2018. I wish you well in the coming year with your book schedule. Thank you! I’ll do what I can, and the rest?There’s always next year, right? Happy New Year to you! Now if only the (eastern) PacNW could get a little snow! Snow has been falling in the Cascades, but not here in the Puget Sound area. In the old days I’d have been skiing! Happy New Year!